We are not only rich in Mountains and temples but in wildlife too. 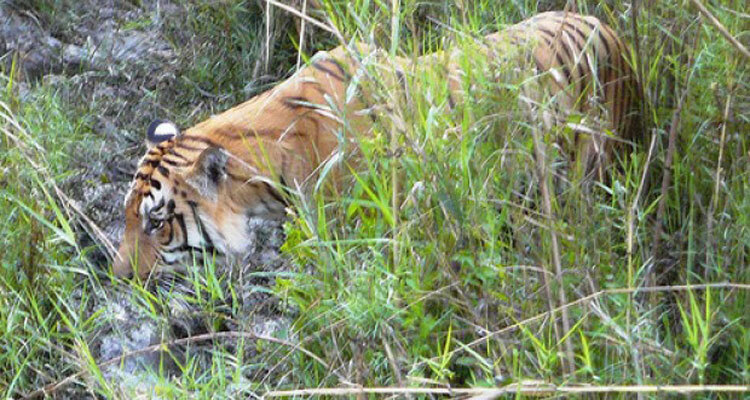 Our Tiger tracking tour in Nepal will take you to the famous National Park of Nepal Chitwan and Bardia National Park. 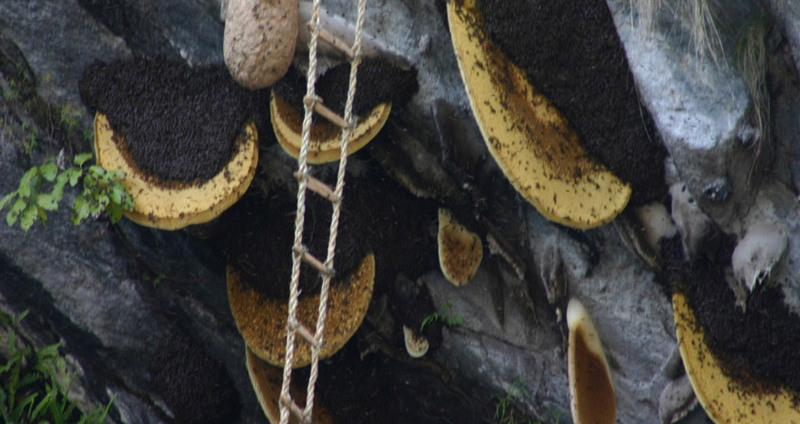 It will provide you with a great way to relax discovering the best flora and fauna and the historical heritage and culture along with watching wild animals and scenery. As we know that Nepal is one of the few places in the world quite likely to encounter wild tigers on foot in their natural habitat. Tiger tracking tour Nepal is mainly focused on the analysis of different categories of animals especially Tiger as well as observe their track, sign, and sounds. Tiger Tracking Safari Holiday Tour takes you deep into the wonderful and diverse national parks of Chitwan and Bardia and the Birthplace of Buddha, Lumbini. During this tiger tracking tour, you can be sure of some exhilarating experiences and improve your tracking skills. The chance of tiger sighting is very high in Bardia National Park whereas Chitwan National Park is the home for species and many other wild animals. Our Tiger Tracking Nepal tour trail starts with rafting in the Trishuli River to Chitwan National Park where large numbers of tigers are found. Chitwan National Park Safaris is amazing with jungle walk, elephant safari, bird watching, canoeing, elephant bathing, culture visit, traditional shows, dances and many more activities which make this trip enjoyable. 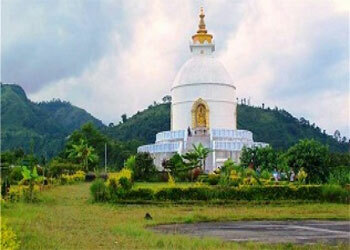 We will also have a sightseeing tour of Lumbini city where u will get a chance to visit the World Peace lamp that is ever burning and the Ashok Pillar which is the sign of Peace and Brotherhood, and also peace garden and Maya Devi’s Temple. As this trip is especially conducted in Bardia National Park there will be an Active exploration of Bardia National Park with its diverse wildlife, including the elusive Bengal tiger. Royal. Bardia National Park is remote, Challenging and offers unique adventure for wildlife as it was initially a hunting reserve. We will have the whole day tiger tracking tour in the national park. This tour is accompanied by Dolphin seeing and bird watching which helps you to make your tour lifetime experience. This is an attractive wild safari tour to explore the untouched wildlife of Bardia National Park, Visit Buddha’s Birth Place and to have a fun time in Chitwan Nation Park with some activities of Whitewater rafting in Trishuli, bird watching, and dolphin watching. 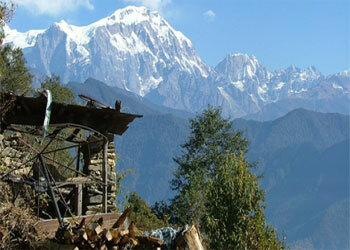 Nepal Tiger tracking tour is 3 Nights Chitwan, 2 Nights Lumbini, and 3 Nights Bardia package tour. Early in the morning after having breakfast at your hotel, take a flight about 25 min to Bharatpur and about 40 minute drive to the hotel, or you can have drive for about 5 hr by toursit bus, viewing the spectacular natural beauties through the way. Welcome to Chitwan National Park. There will be a short briefing on the program and our facilities.An exciting elephant ride (Jungle Safari) offered for guest to explore the jungle and wildlife at the evening. Overnight in hotel at Sauraha. Day 03: - Elephant back safari, canoe ride. The park boasts large numbers of tigers, leopards, sloth bears and around 40 other species of mammals and ~550 species of birds. Elephant ride or known as Jungle Safari experiences one horned rhino, various species of deer, wild boar, sloth bear, leopard, bison and the big one, the Royal Bengal tiger etc. Traditional dug-out canoe takes you on a silent trip down the Rapti River to view aquatic birds and the animals of the river banks. Day 04: - Jungle walk and tharu culture dance. Jungle walk is another way of experience the wilderness. Our trained naturalist will take you across the flowing water of the Rapti River and the prime areas of the park to view nature’s gifts like wild species of animal and birds blended with the surrounding flora and fauna. We currently see a tiger on foot around 75% of the tiger tracking tours we conduct here, so there is a good chance that you will have one of the greatest wildlife experiences in the world. At evening a cultural program performed by the Tharus is observed. Their rhythmic movements and the exciting drumbeat may urge you to join them in their performances. Day 05: - Drive to Bardia National Park, Tharu village tour in the late afternoon. After breakfast, we drive toward another heart touching tourist area, Bardia National Park. You will then be transferred to Lodge where you will be offered refreshment. Rest of the day is free for individual activities or Village tour to a nearby ethnic Tharu village where you will learn more about the life and lifestyle of the Tharus. A cultural program performed by the Tharus is another way to enjoy and make significant contrast of visit. Day 06: - Whole day tiger tracking mostly focused on tiger trail and territories. This is the only National park with a large territory of Royal Bengal Tigers. Today we will have a whole day tiger tracking tour in the national park. Of course, tigers do move around and we have seen plenty of tiger evidence all over the park but we recommend staking out some of the locations where tigers are often spotted. From watchtowers, you are able to see out over the grasslands and possibly spot a distant herd of elephants or a tiger leaving the long grass to come down for a drink at the river. Day 07: - Dolphin sightseeing tour in the morning and Jeep safari in the evening. There are two places within the local area where the rare Gangetic Dolphin can be seen. 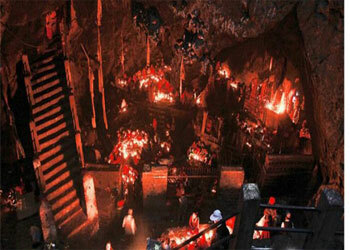 One place is not far from Thakurdwara and can be done in a half day walk. We will take you across in to the jungle on a Jungle Safari drive and have more frequent sightings of the parks unique animals, vegetation and birds. We will have walk around the prime areas of the park to view nature’s gifts like wild species of animal and 407 bird species. After having the lunch we will fly back to Kathmandu from Nepalgunj. 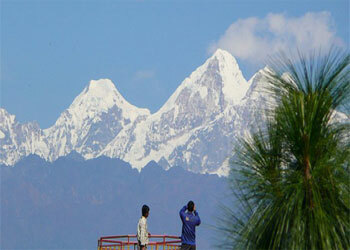 Chitwan full package with meals, accommodation, nature guide, all programme, park permit.